Kofi Annan’s memoirs narrate his career as a flying peacemaker, working for the United Nations. Interventions: A Life in War and Peace, takes us from one diplomatic precipice to the next. We traverse devastating failures and lasting successes. In the book’s chaotic world, Annan’s unwavering determination and moral conviction is perhaps the one constant. Interventions is written by Annan with Nader Mousavizadeh, an ex-colleague, and focuses mostly on his efforts to prevent or resolve global conflict. After an opening chapter on his youth, observing the successful independence movement of Ghana’s first President, Kwame Nkrumah, and engaging in student politics, we then jump to his career, as head of the UN’s peacekeeping operation, followed by his ten years as Secretary General. Chapters primarily cover the interventions in all forms of war since the early 1990s. Specific innovations such as the Responsibility to Protect doctrine, the International Criminal Court and the Millennium Development Goals (MDGs) are upheld. UN reform is explained, and UN resolutions are never far away. Interventions really comes alive when we read about Annan’s efforts to work alongside difficult personalities such as the former Palestinian leader Yasser Arafat. These passages reflect Annan’s sensitivity and steeliness, as well as his sense for human psychology. The book’s substance lies somewhere between the personal and the policy-driven – more of the former would have made it more readable, but nevertheless it remains a fascinating account of contemporary statecraft in the post-Cold War era. In 2000, the Pakistani journalist Ahmed Rashid produced a bestselling account of the insurgent group that currently threatens the stability of Afghanistan. Taliban was balanced, instructive and based on plenty of fieldwork – everything good journalism should be. Pakistan on the Brink, however, feels rushed, gleaned from existing accounts written by other journalists working in the region, interspersed with a hotchpotch of statements made by senior figures working on “Af-Pak” (the term Washington policymakers use to describe Afghanistan and Pakistan). Rashid appears to see the region’s history as determined by Great Men. The policy shifts, character flaws, indecision, infighting, meetings and announcements of presidents, envoys, admirals and generals are viewed as key markers in the narrative. Barack Obama is attacked for his “cold” approach, lack of commitment and failure to meet personally with either the Afghan president Hamid Karzai or the late US Special Adviser Richard Holbrooke. Karzai is portrayed as “deeply insecure” and “his own worst enemy”. Pakistan’s president Asif Ali Zardari is characterized as weak and deferential to a Pakistani army “obsessed with India and the threat of Indian influence in Afghanistan”. Beneath this network of power brokers we struggle to learn what actually drives change. There is little substantial historical context going back more than a few years, and Rashid fails to describe the deep roots of key Islamist movements undermining security in the region. Rashid’s recent books – Jihad (2002), Descent into Chaos (2009) and now Pakistan on the Brink – echo those hawkish commentators of the Great Game and Cold War; radical Islam has replaced the perceived Russian and Soviet threats. But surely the past twelve years in Afghanistan have yielded valuable lessons about the importance of giving credence to history and culture, the historical consciousness of an invaded people; the delicacy and cost of intervention; the need for realistic strategies founded on adequate analysis? Pakistan on the Brink is symptomatic of the West’s recent failings in these endeavours. 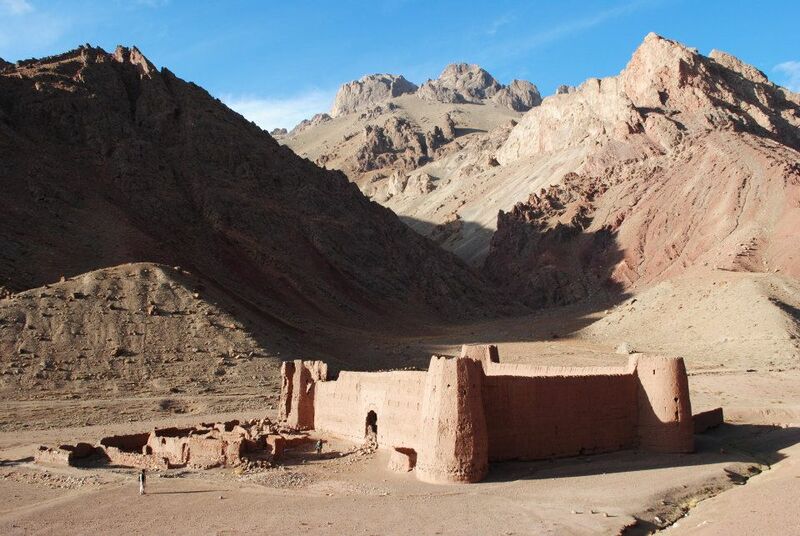 The prospect of yet another general history of Afghanistan is unlikely to excite. But Amin Saikal’s updated Modern Afghanistan, reprinted this year after a first edition in 2004, is an exception. Saikal is that rarity among published authors on Afghanistan: an Afghan, and his work demonstrates a cultural understanding that is usually lacking among foreign historians and political scientists. He relies on first-hand interviews with informed Afghans, and uses Afghan sources written in Dari as well as others from Soviet archives. This allows Saikal to see his country’s historical development through social and political traditions that most Western historians ignore, or fail to see altogether. Afghanistan’s state fragility, he argues, is inherent in systems of rule derived from families that were dynastic and polygamous. Such loose patrimonial systems provoked interdynastic rivalry in which challengers often sought external assistance to usurp incumbents. In this way, Afghans are players of their own Great Game: “Any government or official political movement in Afghanistan,” writes Saikal, “whatever its proclaimed goals and position on the left-right continuum, recruited, mobilised support and operated according to criteria of ethnic/tribal/clan solidarity. All prominent ‘Constitutionalists’ in the age of Habibullah and Amanullah were Durrani Pashtuns, linked by conjugal and patronage ties. Through the ‘liberal’ and ‘democratic’ periods in the post-Second World War era, the Mohammadzai clan never relinquished power”. 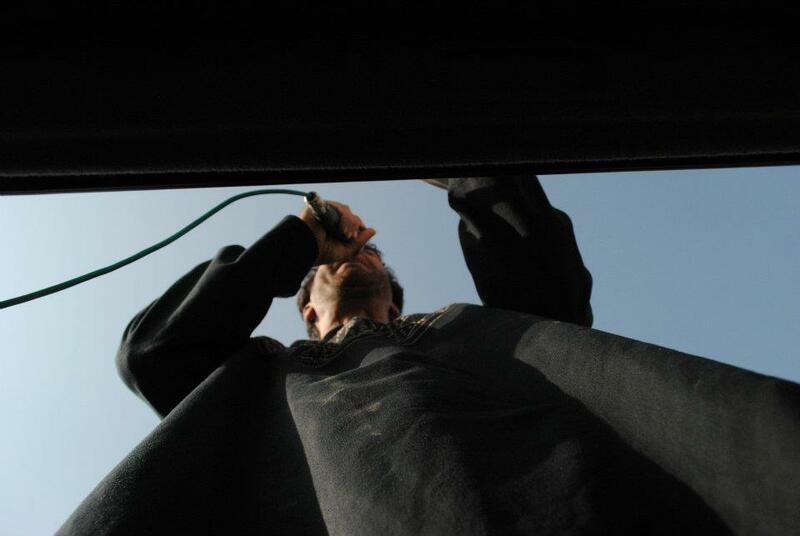 Consequently, Saikal sees President Hamid Karzai as little more than a “Pashtun Khan” singing to the United States’s tune of liberal democracy and centralized government, while in reality “operating along the lines of the past”. The emergence of a “Karzai cartel”, in which the President’s brothers and half-brothers “as well as secondary relatives and ethnic loyalists, came to play a dominant role in politics, business, trade and outreach activities”, is proof of the persistence of “family rule” in Afghan politics. Saikal’s use of sources, his insight into the process of internal political change, and his somewhat sympathetic view that, in the end, Afghans have always been the main agents of their history, make Modern Afghanistan essential reading for anyone wanting original, informed perspectives on the country’s historical development since its “foundation” under Ahmad Shah Durrani in 1747. The retired military intelligence officer Frank Ledwidge has written a thoughtful book tackling the reasons for Britain’s recent military failures in Iraq and Afghanistan. Covering politics, strategy, history, operations, institutional culture and academia, Ledwidge’s Losing Small Wars is ambitious in scope. Moreover, the book is predicated on a noble ambition: to remind readers of the injustice of Britain’s recent military adventures. Ledwidge hopes to make British senior officers and politicians see sense and promote belated reforms. Yet the Clausewitzian ‘logic’ for war was lost not only on these officers, but also for most of a Labour government who followed the United States into two wars whose rationale was never clear or fixed, but shifted according to expediency. Perhaps unsurprisingly the generals did not question their politicians given their perception that the military exists to serve the polity, not debate politics. But Ledwidge is uncompromising. He asserts that beneath the military’s overarching failure to contest the political purpose of both wars lies a catalogue of institutional inadequacy: “A failure to adapt, antediluvian structures and intelligence systems, deployment schedules that ensured a lack of continuity, a cavalier attitude to post-entry planning, a mentality geared to an excessive readiness to use extreme violence…Inadequate equipment and a dearth of [combat] personnel coexisted alongside a vastly swollen command structure…”. Unfortunately the writing is sloppy at times. Ledwidge calls Mazar-e Sharif a province (it is the capital city of Balkh province). He introduces the International Crisis Group twice, in almost the exact same way within forty pages. His prose can slip into silly exaggerations: “The police are widely regarded to be at best a disparate group of drug-addled rogues”. He repeats the same arguments throughout the 270 pages, many of which are drawn from the same dozen British journalists or generals. Very few Iraqi or Afghan sources are used, which is ironic given his arguments for greater cultural engagement as a means to improve the understanding of the armed forces. But Losing Small Wars is nevertheless a brave and important book; essential reading for anyone wanting insights into the dysfunction within the British military today, and the deplorable consequences this has when thrust upon the lives of innocent civilians caught up in war. The Afghan guessing game is intensifying. Nobody can accurately predict what will happen in 2014 – the “transition” year – when international ground forces finally exit and a new Afghan president is elected. Pessimists foresee the outbreak of civil war and a rise in the number of safe havens used by international terrorists. This current rise in attacks, assassinations and abductions around the country will increase their anxiety. May’s Nato conference in Chicago saw world leaders promise more cash to bolster Afghanistan’s fledgling security services, but can we not learn from history and recognise that no matter how much money and lives are expended on military intervention and training, more soldiering and policing will not deliver long-term security. Military force seeks to prevent insecurity but ignores its root causes. 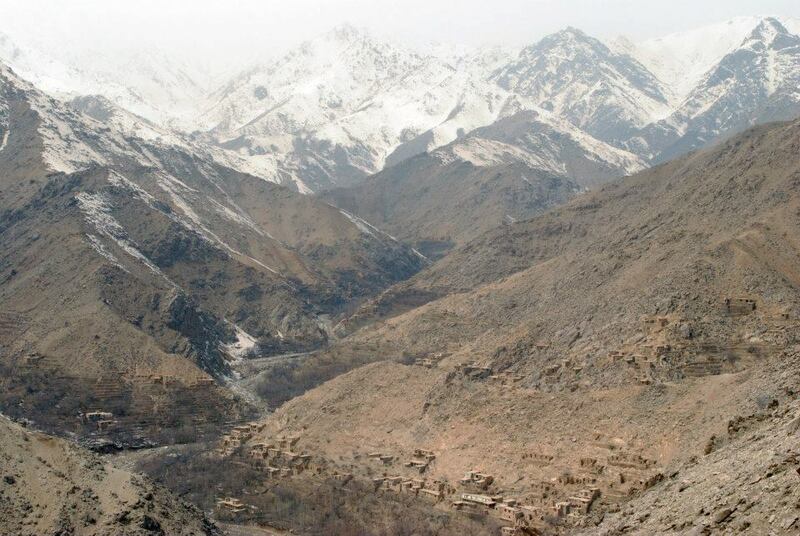 Afghanistan’s insurgencies find acceptance among the poorest, most marginalised communities. These are villages in remote districts that are neglected by government and aid agencies. As US General Eikenberry was fond of saying, “where the road ends, the Taliban begins”. Roads are important, but providing quality services that vulnerable populations can reach is vital. Afghanistan’s under-development remains shocking. One in two children under five is chronically malnourished. Nearly half of school age children are out of school. Around half the population is underemployed. Over a third of the country lives below the poverty line. In such precarious environments, religious extremism, narco-trafficking, criminality and corruption thrive, for survival is paramount. Undeniably there have been achievements over the past ten years. Access to primary health care has increased from 8 percent of the population to more than 60 percent. Access to electricity has increased by 250 percent. The Afghan government has increased its ability to collect revenue. And, yes, thousands of kilometres of roads have been constructed. 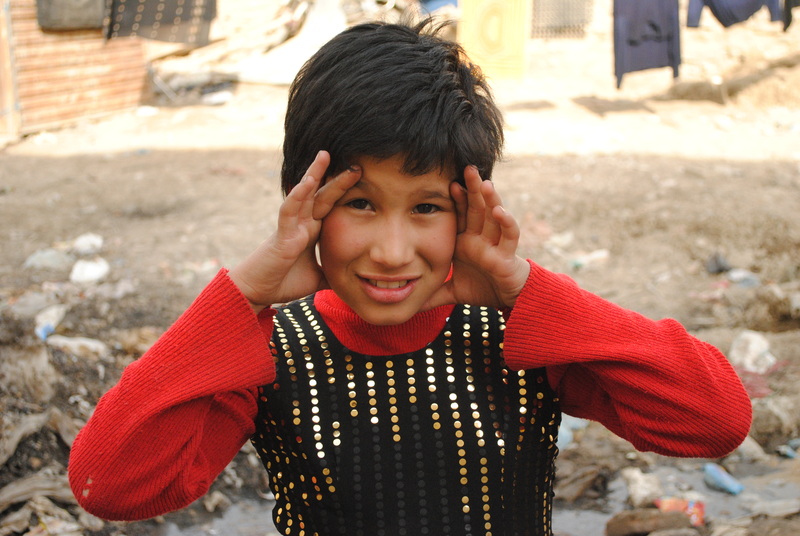 Donors, development partners and NGOs have played a critical role in supporting Kabul in these and other areas. But the fact remains that, despite over ten years of enormous foreign investment in Afghanistan, the lives of ordinary Afghans have changed little. 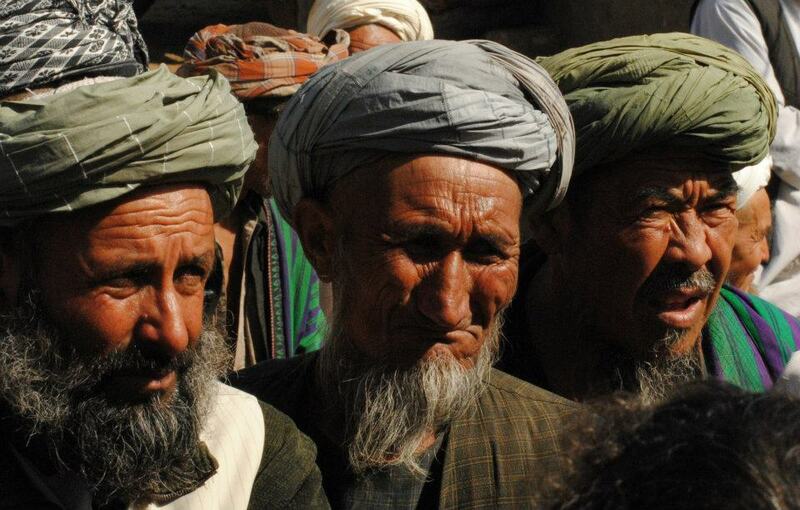 About 40,000 Afghans die each year due to poverty and hunger. This figure is fifteen times more than casualties from war. Yet NATO has spent more than twice as much on its intervention in one month than all the combined international aid spent on social protection in eight years. Investments in the basic building blocks – quality education, nutrition and rural livelihoods – have for too long been dismally low when compared with the vast sums disbursed on governance and more “visible” macro-economic projects deemed to be the “silver bullet” for Afghanistan’s future GDP. The poorest Afghans have understandably grown disillusioned with the corruption among Kabul’s political elites when tax-payers’ money should be going towards improving people’s social services. These Afghans naturally start to view the international aid community as equally self-serving and hypocritical. No wonder then that they accept the alternatives that are pressed upon them by Islamist clerics and their foot soldiers. Next week, Afghanistan’s stakeholders from the international community will meet in Tokyo to discuss development. This is a major conference and needs to be treated as such, not simply as another stop-off in the Afghan diplomatic carousel. It presents a genuine opportunity for policymakers to shift the balance of power away from war-weary Generals to the Ministers, Ambassadors and senior UN officials who will be responsible for the country’s future development. If the “transition” is a discursive tool, let us frame it this way: the following two years should see the international community transition from a security-dominated agenda to a development agenda. Critically, this agenda must prioritise the most vulnerable Afghans’ needs and focus on sustainability. The UN must become the major partner in supporting the government’s development strategy. One thing is clear: the elephant in the room at Tokyo will be the abject lack of human development in Afghanistan; that is, the international community’s failure to help the country’s poorest. Everyone there will be aware of it, but few will have the courage to speak up and propose solutions. When aid targets the right people directly, it can work. The National Solidarity Programme, funded by the US, UK, Canada and Denmark among others, has empowered communities across rural Afghanistan to spend US$1.2 billion on their own development priorities. This kind of development practice is helping hundreds of thousands of Afghans move out of poverty. What’s more, such measures improve security, cheaply. As western constituencies vote for accelerated troop withdrawals, and the military aid teams pack up their bases, and the media spotlight moves away from this country after over ten long years, we must finally transition to a more realistic approach. Spending a greater share of limited budgets towards ‘smarter’ development will improve the lives of millions of Afghans, both immediately and in the longer term. Reducing poverty and hunger, preventing illiteracy and disease – these are not only inherently good things, but they also make communities less amenable to an insurgent’s methods of persuasion. This clearly benefits Afghan people and will go some way to relieving the concerns of a worried, if tired, international community. Jonathan Steele has written a book that is brazenly illuminating. 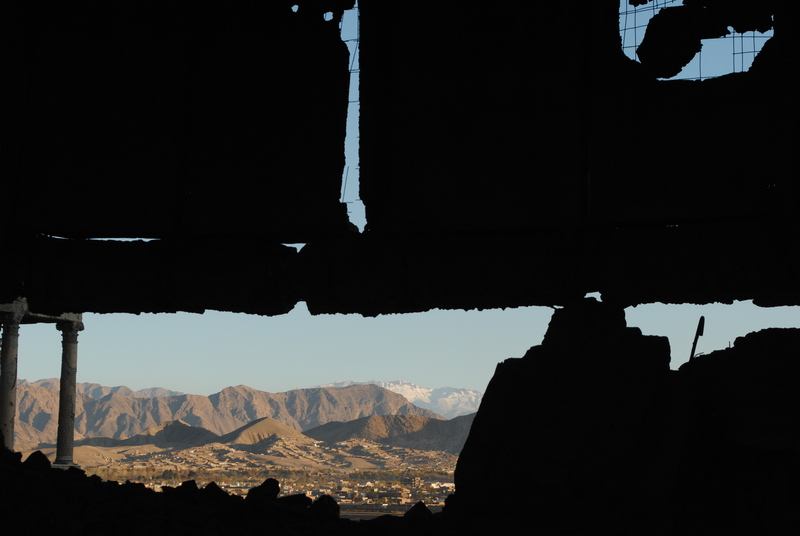 Ghosts of Afghanistan charts a sinuous and sobering history of the country over the past thirty five years. The results are grim reading but also perversely satisfying, as the categorical exposé of hubris always is. Rather than using chronological narrative form, Steele opts for myth debunking to shed light on the crisis. Thirteen myths are dispelled throughout the book. Some are more pertinent to the current Afghan context than others. Myth eleven, for example, writes Steele, is that the Taliban invited Osama bin Laden to use Afghanistan as a safe haven. The ramifications of this misguided intelligence were enormous. It became the principle rationale for the U.S. invasion. Ghosts benefits from Steele’s thirty years plus of reporting on both the Soviet Union and Afghanistan. The prose is clear and lively. The personal anecdote is never far away. His history is well-researched. Steele examines WikiLeaks’ diplomatic cables from actors such as former U.S. Ambassador Eikenberry to demonstrate the increasingly cagey U.S. relationship with Afghan President Hamid Karzai, as well as the support the Pakistani intelligence service provided to the Taliban. Steele also offers interesting analysis into reasons for U.S. reluctance to entertain a political solution between the Afghan government and the Taliban, based on America’s historical experience; namely, the success of fought victories in the Civil War and the two World Wars, versus their unsatisfactory negotiated settlements in Vietnam and Korea. Where Steele perhaps comes up short is in his exploration of ghosts, if only because he could have taken it so much further. The Soviets called the mujahedin dukhi – ghosts – since they were so shadowy, much like the Taliban for the U.S. military today. But if today’s various insurgent factions remain spectres in the eyes of the West, then so too does the country as a whole. This metaphorical ghostliness, or more precisely, misperception, strikes not only at the heart military failings in Afghanistan, but actually at the whole notion of foreign intervention in a weak state that has been – and remains – so weakly understood by outsiders working in the country. This military myopia stems from an overwhelmingly ‘blind’ international civilian engagement. And this breeds the myth-making that has partly caused such tragedy in Afghanistan.